Is this your show? Add/update info and upload pics. Upload photos of your show or vendors (with captions), add your contact info, write breaking news about special events, speakers or classes (your news will auto-post on other pages on this site)! Expand the info from your show listing on the Shows-Expos Calendar! Update show dates and hours, add/delete vendors, upload a show floorplan, plot directions on a Google map! Link your email, website and all your social media accounts, driving potential vendors and buyers to sites in which you’ve already made a significant investment! Get up close to gigantic sea monsters and other skeletons!!! Indoor and outdoor venues host international fine minerals and fossils. Polished and rough material, meteorites, green river fish, amethyst, ammonites, fine minerals and much more available at the Mineral and Fossil Marketplace. “Come for the monsters, stay for the best shopping experience in Tucson!” New this year – The 2019 show will see even more excitement at the Mineral and Fossil Marketplace. 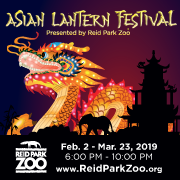 We are excited to have several new exhibitors bringing even grater diversity to the selection of high-quality fossils and minerals. Dramatic, full size skeletons are on display inside the Marketplace building. Shoppers will find a relaxed atmosphere with easy parking, concessions, and even an on-site custom crate builder to help get purchases home safely. This is a profile page created by Xpo Press that provides information about this show for the purpose of driving customer traffic to their website and to the show itself. 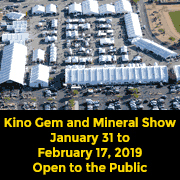 This page is formatted for desktops, tablets, all mobile devices, as well as from Xpo Press gem show apps, and is searchable from Xpo Press’s Shows-Expos Calendar.